Ben has announced his third UK theatre tour, So You Think You Know About Dinosaurs...?! for Spring 2019. 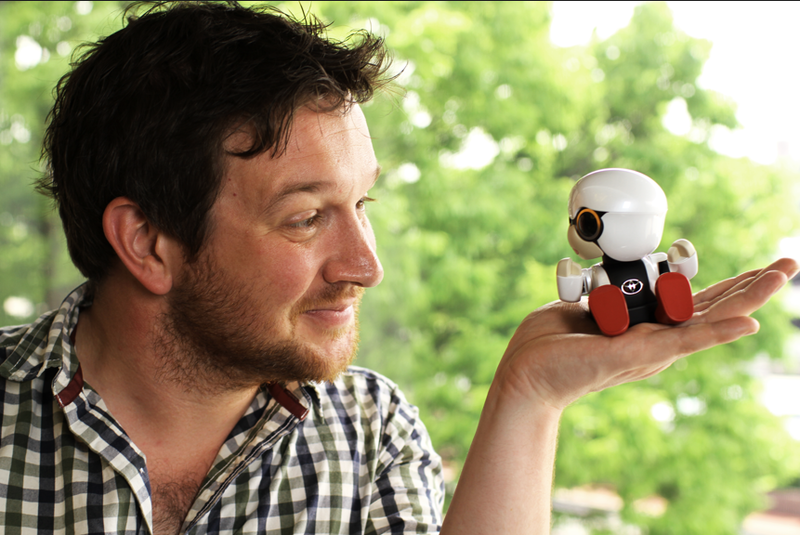 Ben is the Professor of Evolutionary Biology and Science Engagement at the University of East Anglia, in Norwich. He has a BSc in Animal Behaviour from Anglia Ruskin University, an MSc in Wild Animal Biology from the Royal Veterinary Collegeand a PhD, which looked at monkey evolution on tropical islands, entitled 'Primates of the Caribbean' with the University College Londonand the Zoological Society of London. 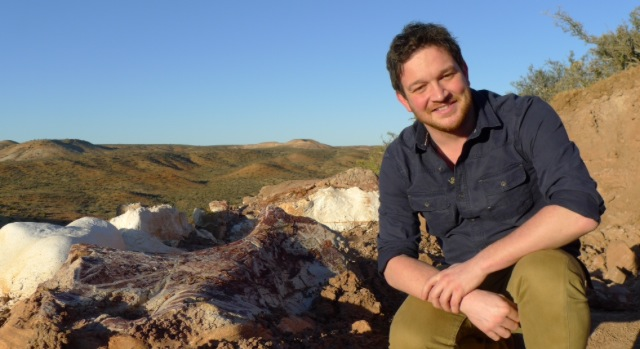 In addition to his academic role at the University of East Anglia, Ben has presented a number of television programmes, including Attenborough and the Giant Dinosaurwith Sir David Attenborough on BBC One. Most recently, Ben co-presented Hyper Evolution: Rise of the Robotson BBC Four and The Day the Dinosaurs Died on BBC Two. 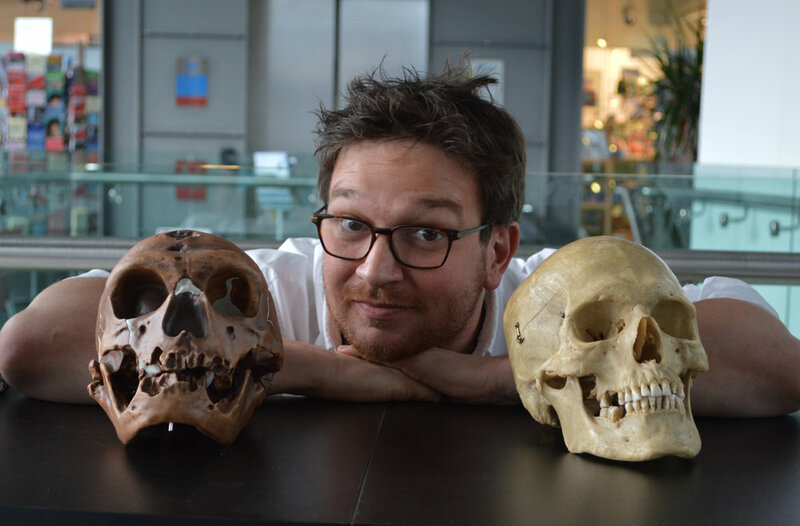 In addition to his own award-winning six-part BBC Four series Secrets of Bones, he has featured in the Natural World documentary Red Ape: Saving the Orangutans and Winter’s Weirdest Events, both on BBC Two.Ben has also presented The Human Hiveand Bone Storieson BBC Radio4. In 2018, Ben released six dinosaur books in the series ‘So You Think You Know About Dinosaurs?’with Zephyr, an imprint from Head of Zeus. In the series, young science lovers can find out all about Velociraptor, Spinosaurus, Stegosaurus, Triceratops, Diplodocusand of course, Tyrannosaurus rex. His new book, The Chimpanzee and Meis released in summer 2019. For the last two decades nearly, Ben has lived and worked all over the world, mainly within great ape conservation – spending several years in East Africa developing and managing a leading chimpanzee conservation field site for the renowned chimpanzee scientist Dr Jane Goodall, where among other things, was responsible for habituating wild chimps. He has also worked extensively across South East Asia for an orangutan conservation charity, has researched animal artefacts from Imperial Chinese tombs, worked with marine life in Madagascar and studied introduced monkeys throughout the Caribbean. He has also repeatedly travelled to the Arctic archipelago of Svalbard, where he has helped lead wildlife watching tours. Ben is an accomplished public speaker and has spoken at a range of conferences, public debates and science festivals, including the Cheltenham Science Festival,Norwich Science Festival, at the Kruger Cowne Breakfast Cluband for TEDx. He also writes science-based articles for The Guardian, theBBC Wildlife Magazine and online articles forThe Conversation. Ben grew up on coastal Norfolk and still likes nothing better than to get out on the beaches there to see which species (both dead and alive) he can find. He now lives in Bristol where despite not having any pets, he lives with Lola, an articulated howler monkey skeleton. Benis heavily involved in a wide range of charities and organisations. His affiliations include being a trustee of the Jane Goodall Institute UK; an ambassador for the Marine conservation Society; an ambassador for the Norfolk Wildlife Trust; a patron for the Norwich Science Festival; a patron for the Youth STEMM Awards; an ambassador for the Bristol Museum and Arts Gallery; a patron for the Natural Sciences Collections Association(NatSCA); sits on the Conservation Working Party for the Primate Society of Great Britain(PSGB); and is a Fellow of the Linnean Society.